Spring is here! The flowers are blooming and the sun is shining, but you may find yourself looking in the mirror and see that your face is not reflecting in the same bright and beautiful way. The cold winter months have likely taken a toll on your facial skin. Fine lines, wrinkles, splotches, sun damage, and acne scars may make you feel and look old, tired, and worn out. It is time to brighten up the facial skin so you can enjoy some springtime fun. With so many non-surgical cosmetic options available, you can rejuvenate the face to gain fresher and smoother skin without having to undergo a strenuous procedure that requires a long recovery time. By undergoing one or a combination of non-surgical rejuvenation treatments, a patient can expect to have softer, brighter, more youthful facial skin. With shorter recovery times, immediate results, and minimal pain, non-surgical treatments are an excellent option for providing natural-looking improvements to the face. To find out how you can achieve smoother, rejuvenated skin, schedule your consultation with Dr. Wald by calling (714) 312-3549 or by filling out our online contact form. This entry was posted on Tuesday, March 29th, 2016 at 4:26 pm	and is filed under BOTOX® Cosmetic, Injectable Fillers, Laser Skin Resurfacing, Sciton® Laser. Life in our modern world comes with a lot of upsides as well as downsides. While we enjoy many conveniences such as technology and transportation, we also experience environmental pollutants and sun damage from the depletion of the protective ozone layer. These harmful effects can damage our skin, leading to wrinkles, sun spots, discoloration, and acne scars. While we may not be able to avoid these pollutants and sun exposure, we can use modern technology to combat the negative effects on our skin. Here at The Aesthetic Institute, Dr. Wald is pleased to offer an effective treatment for skin resurfacing using the Sciton® Laser. This technique can revitalize your skin and remove the results of skin damage from the sun or other environmental pollutants. What Is the Sciton® Laser? 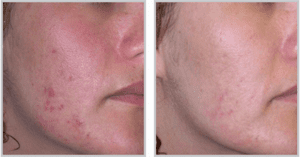 The Sciton® Laser is a device that transmits heat energy into the skin. Sapphire contact cooling protects the surface layer while the heat waves are directly transmitted into target areas deep within the dermal layer. Dr. Wald can manipulate the Sciton® Laser to ensure that the appropriate depth of damaged tissue is treated. This treatment uses ablative fractional resurfacing rather than full-field resurfacing to significantly improve results, recovery time, and the healing process. Many resurfacing procedures use a full-field technique, which means they target a full section of skin. Full-field laser treatments remove an entire layer of skin so that the body can replace it with new, healthy skin. 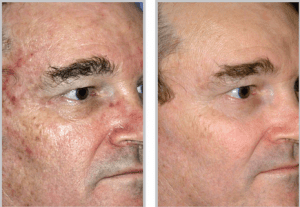 However, this treatment is more aggressive and requires more downtime than fractional resurfacing. Fractional resurfacing removes only pinpointed columns of skin rather than the entire layer, and it leaves the surrounding skin tissue intact. With only small amounts of damaged skin tissue being destroyed, it is easier for the body to heal rapidly from the treatment. Fractional resurfacing technology also allows Dr. Wald to control the coagulation depth and ablation for lighter or deeper treatment options. The Sciton® Laser is even more effective than other fractional lasers because it’s an ablative laser that fully removes microscopic columns of damaged tissue. While modern living can damage your skin, modern technology can restore it. Dr. Wald uses cutting-edge Sciton® Laser technology to improve your look through skin resurfacing, skin tightening, and/or acne treatment. To find out more about skin resurfacing or any other benefits that the Sciton® Laser can provide for you, schedule your consultation with Dr. Wald today through our online contact form or by calling (714) 738-4282. This entry was posted on Thursday, July 16th, 2015 at 6:17 pm	and is filed under Non-Surgical Procedures, Sciton® Laser, Skin Care. The quality of your skin changes dramatically over the course of life. When you’re young, your skin is smooth, firm, and plump. As you age, it thins, loosens, and sags. Over time, your skin may begin to show wrinkles, fine lines, and sagginess that make you appear older. Many men and women alike who experience these changes in skin quality could look years younger if they knew what technology is available today. One of the best tools for skin tightening is the Sciton® Laser, which can reverse the problems of loose, thin, and sagging skin. With the expert hand of Dr. Robert Wald at The Aesthetic Institute, the Sciton® Laser can rejuvenate your skin and refresh your appearance. How Does Your Skin Age? As you age, your skin quality changes and eventually begins to sag, loosen, and thin out. The main reason your skin ages in this way is because your body slows its production of collagen. Collagen is a fibrous, structural protein, and it is a major component of your skin’s connective tissue. This protein gives your cells structure and strength. Some of its primary roles include strengthening your skin tissue and keeping your skin elastic. Thus, when collagen begins to deplete, it’s no longer around to keep your skin healthy, strong, and elastic. This is why skin thins, loosens, and sags over time. Collagen production slows and weakens at different rates for different people. If you look at someone who is around your age or older and think that they look younger than you, perhaps the process of collagen breakdown is occurring at a faster rate for you. But with the help of cutting-edge technology, you can reverse this process. Board-certified plastic surgeon Dr. Robert Wald uses the newest technology in the Sciton® Laser to rejuvenate skin quality and restore firmness to the skin. The Sciton® Laser sends infrared heat energy deep into the skin to trigger the collagen fibers to contract. With Dr. Wald’s controlled application of these heat waves, the existing collagen strengthens, new collagen forms, and loose tissues start to become firm. 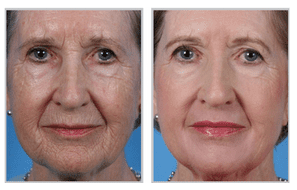 The natural process of collagen production begins to work more effectively once again, and the results continue to improve over several months. Due to sapphire contact cooling, no surface tissue is harmed during treatment. 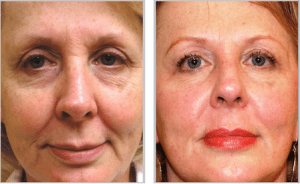 Skin tightening with the Sciton® Laser effectively leads to firmer, more youthful skin. 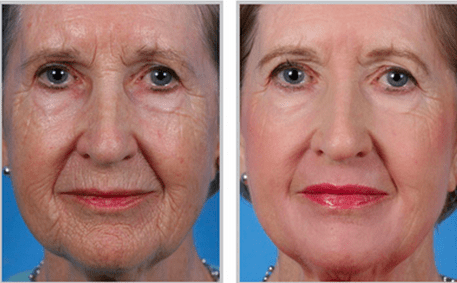 To see how this cutting-edge technology can improve your skin and help you look and feel younger, call (714) 738-4282 or contact us online to schedule your consultation with Dr. Wald today. This entry was posted on Tuesday, June 16th, 2015 at 5:54 pm	and is filed under Non-Surgical Procedures, Sciton® Laser, Skin Care. 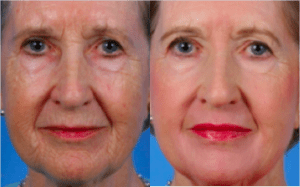 Time, genetics, hormones, sun exposure, and years of facial contractions eventually take a bit of a toll on the face. Fine lines, wrinkles, thinning lips and cheeks, acne scars, sun spots, and more can show up at any time, often causing you to look older than you are or than you feel. While facelift surgery could be an appropriate option for your needs, there are nonsurgical facial rejuvenation procedures that may be better suited to your desires. At The Aesthetic Institute, Dr. Robert Wald uses BOTOX® Cosmetic, injectable fillers, and Sciton® laser treatments to provide patients with a nonsurgical facelift. Dr. Wald uses BOTOX® Cosmetic primarily to treat frown lines, crow’s feet, and forehead lines as well as for additional FDA-approved medical treatments. This neurotoxin formula derived from botulinum toxin type A blocks nerve signals to temporarily paralyze facial muscles from contracting and causing facial wrinkles. Dr. Wald conducts the procedure on an outpatient basis at his Fullerton practice, and it takes only a few minutes per treatment. Patients need no downtime to recover, and they begin to see satisfying results within 24 to 48 hours. Results typically last between three and six months, after which time most patients return for touch-up treatments. 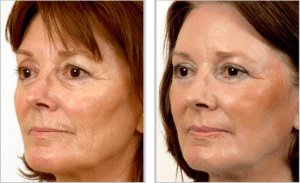 Unlike BOTOX®, injectable fillers do not inhibit the movement of facial muscles to reduce wrinkles. Rather, they fill in the tissue where the wrinkles or lines are located to restore the face to a fuller and more youthful appearance. Dr. Wald offers the FDA-approved facial injectable fillers of JUVÉDERM®, Restylane®, and RADIESSE® at his Fullerton practice. These fillers can effectively treat wrinkles around the eyes, smile lines (nasolabial folds), thinning lips, loss of definition along the jawline, loss of volume in the cheeks, depressions in the nose, and more. The Sciton® laser is a new, cutting-edge technology that Dr. Wald uses for skin tightening, acne scar treatment, sun spots, wrinkles, dermal rejuvenation, vascular lesion reduction, and more. The heat from the Sciton® laser kills active bacteria, shrinks oil glands, and stimulates collagen growth and contraction to heal the skin. Precision cooling prevents the surface skin from being damaged while the laser heat penetrates deep into the dermal layer. Treatment lasts only 15 to 30 minutes and requires no downtime, and patients experience little to no postoperative swelling or discomfort. Dr. Wald uses it on all skin types with great results. If you have facial lines, volume loss, acne scars, or any other signs of aging or skin damage, Dr. Robert Wald is a board-certified plastic surgeon who can rejuvenate and revitalize your face. Call (714) 312-3549 or fill out our online contact form to schedule your consultation today so Dr. Wald can help restore your face to its natural, youthful beauty. This entry was posted on Friday, April 17th, 2015 at 9:07 am	and is filed under BOTOX® Cosmetic, Injectable Fillers, Non-Surgical Procedures, Sciton® Laser.